The Past Lives Project has come to the end of its current funding. We have visited eight regions of the Midlands over three years and had an overwhelmingly positive response. We are currently putting the final touches to some of the region DVDs and we will post again when they are available. We will maintain this website to allow access to the regional archives. Please message us on info@pastlivesproject.com for any enquiries. Past Lives Project is an arts and heritage project touring 8 regions in the midlands between 2014 – 2016. This project is funded by Arts Council England & Heritage Lottery Fund. In each region we are calling out for local amateur cine film, digitising this to make new films that share social history and speak of everyday past lives. Click ABOUT to read more about the origin of the project. 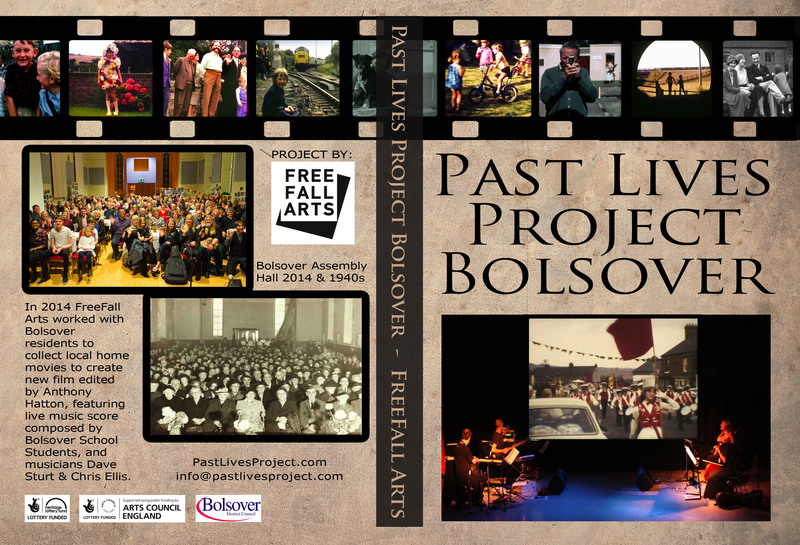 We now have DVDs available for sale of Past Lives Bolsover, Nottingham, Ironbridge and Mansfield. If you would like to buy a DVD please click here on the paypal link and send £12 per dvd (this includes p&p for the UK) to info@pastlivesproject.com IMPORTANT Please specify which DVD you would like to buy in the message section of the payment details. If you do not have paypal you can post a cheque to us or arrange a different form of payment. Send a message to info@pastlivesproject.com for further details. Click on one of the photos below to find out how we are working in each region. Was looking for Bolsover Welbeck Road School and found your photos – one of Town End – with a small child Margaret Travell. I went to school with Margaret. I was Maureen Tebbs. Does she still live in Bolsover?